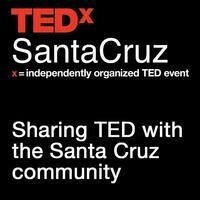 UC Santa Cruz is a major sponsor for TEDxSantaCruz 2015. For their 2015 event, the TEDx team is planning an event to help shine a spotlight on the impact of UC Santa Cruz through faculty research and alumni endeavors. UC Santa Cruz faculty, staff, students and alumni are well represented among the speakers at this event. Expect it to be an inspiring day of ideas and experiences born out of, or in need of, radical collaboration. More at the TEDxSantaCruz website.